Plot: Product Description: Set in 1964 Chicago, Cooley High is a slice-of-life tale of high school students coping with the challenges of everyday life, growing up in the shadows of the housing projects. “Preach’ and “Cochise” are two black high school students, and best friends, who see their lives irrevocably changed by circumstance in this dramatic comedy. This is a 70's classic. It's one of those films that got rave reviews when it came out and is still considered one of those films that you don't forget after seeing it. A high school classic. A school style film of teenage life in the view of African American youth. Olive Films gave a new outlet to this classic. I am reviewing the Blu-Ray which has been lovingly put together and given to a modern generation with this product. This is based on the real life Cooley Vocational High School which sadly this historical school is no longer standing. This was written by Eric Monte and is based on his experiences attending the school. The school itself was for students who lived in the projects of Chicago, known as, Cabrini-Green public housing. Now there is a mix of reality to this subject, during the time Monte lived there and grew up there, it was as he put it, very fun and vibrant, but still mixed with violence as the film does show. Over the years that reality changed into gang violence and massive crime, multiple murders. During Monte’s youth, he loved the place and stated it was a wonderful experience to live there. The movie is based on that period in time and the kids that grew up there, and attended Cooley High. Monte has stated he wanted to fix some of the false truths that the area was not always a violent spot and not all persons living there where violent or gang related. Now a little trivia about this film, is it was to go on to be a TV show. It was to run on ABC but the president of the station Fred Silverman did not take to the pilot, and so he wanted the show redone with different characters and also to change the title of the show, which became the classic TV sitcom, What’s Happening. I look at Cooley High as a piece of Americana History. It’s a film that should be seen and experienced, because it is one of the great defining films of the 70’s and also of the teenage high school life. The personal experiences of those growing up and having to choose certain actions, or experience certain realities that the majority of society has no idea about. The soundtrack to the film is amazing using the classic Motown Hits. It also detailed one classic song that has gone on to be a stable in the music world, G.C. Cameron’s, It’s so Hard to Say Goodbye to Yesterday. If you’re reading that and it sounds familiar, it should, because the amazing one of kind harmony group of the 90’s, Boyz II Men covered it on their first LP album. And what was that LP album called, Cooleyhighharmony. Both your main stars, Glynn Turman and Lawrence Hilton-Jacobs are still acting strong today. Glynn Turman is currently acting on the TV show House of Lies, as the character of Jeremiah Kaan. Both are truly passionate performers. Each one shine in Cooley High. Lawrence Hilton-Jacobs would go on to star in the popular show, Welcome Back, Kotter as the character of Freddie Boom Boom Washington. Cooley High is one of those films you have to see. It’s a pivotal film in cinema history. A retro trip into the important age of Black Cinema, an important age of cinema period. Cooley High was directed by one of my personal favorite directors that to me never got the limelight he deserved. A director both small scale with TV, to feature film. He is a true iconic filmmaker. Not only has he brought to light the wonderful Cooley High, but also one of my favorite, Cult, Drive-in style films, the one and only 80’s classic, The Last Dragon, ‘Am I the meanest, Am I the prettiest, Am I the baddest mofo low down around this town, well who am I' 'Sho’nuff’. A classic 80’s film that lingers and stands out and is honored by all those who love 80’s cinema. He also directed one of my favorite comedies, 1987’s cheesy classic, Disorderlies, starring the rap group, The Fat Boy’s. 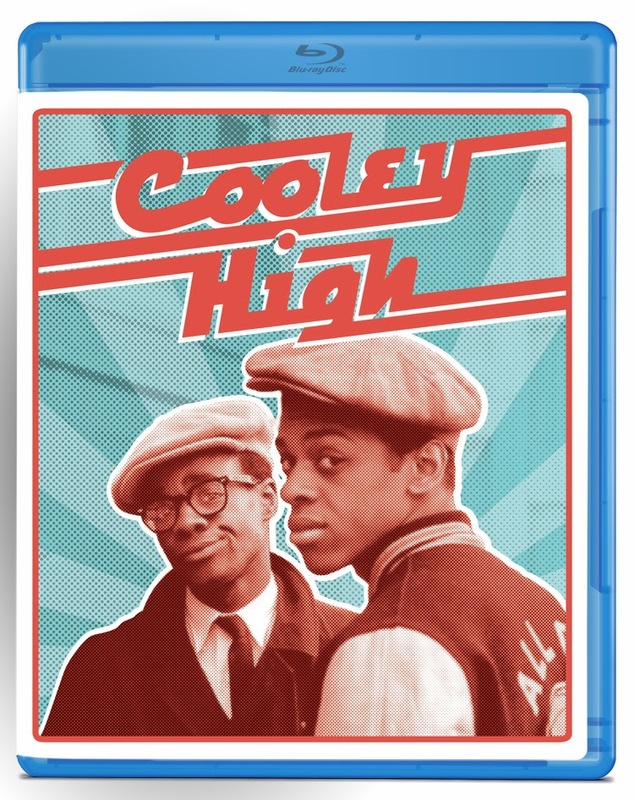 It surprises me after reviewing Cooley High for this wonderful Blu-ray release how many films of Michael Schultz that I grew up with, from the ones mentioned, to others like, 1976’s Car Wash, 1977’s Which Way Up, 1985’s Krush Groove and many others. He is an important director and a pioneer of African American cinema, which thankfully he was honored in 1991, being inducted in the Black Filmmakers Hall of Fame. Cooley High is one of his shinning pieces of important cinema. Olive Films has honored this movie and honored Schultz by bringing this out on Blu-ray that looks and sounds perfect. Cooley High has never looked any better. Olive Films has created a vibrant and beautiful fresh outlet like they always seem to do. This Blu-ray is a triumphant to cinema, and the history and love of one of the most important High School films to ever come out, Cooley High. A must see, must own, awesome Blu-ray, to experience this classic piece of cinema, that never grows old. This is, as fantastic, as it was then, as it is now. Olive Films rocked with this one.